What is basement waterproofing? It is the process of evacuating a flooded basement and installing membranes that will protect the basement from flooding. Flooding can occur if underground water infiltrates through the foundation and enters the basement. Waterproofing Singapore can provide you with the best and long lasting waterproofing solutions to your basement. What are the Signs and Causes of Basement Flooding? When finding the solution to a wet basement, it is important to consider exterior factors that could be contributing to this problem. These factors include gutters and drainage systems that could be diverting water into your basement. Therefore, installing a membrane should be able to direct the water from the building. The signs that indicate that your basement is being invaded by water include ever cold floors and walls even during summer, the presence of water on the floor, damp air, and the presence of efflorescent and floor stains. What are the Options for Basement Waterproofing? Most of the basements are being used as a shaggy store for unused items in the house. It is usually left unattended because the items kept in the basement are of less value. Today, Waterproofing Singapore presents some of the best options for basement waterproofing membrane. A waterproofed basement is an asset for every homeowner. The bitumen sheets form a seamless membrane once applied using a torch. If you work with inexperienced contractors, the torch can start up a fire in your basement. It needs competent skills to handle the installation process. It is not advisable to do DIY bitumen sheet installation because of the technicalities involved in the process. The following are the steps we take to install the bituminous waterproofing membrane. We first clear debris and any standing water in the basement. We take the measurement of the basement to know the quantity of the bitumen sheet needed to cover the whole area. We roll out the bitumen sheet in the area and adjust it until it is flattened on the surface. In order to achieve a seamless membrane, there should be no air molecules trapped beneath the sheet. While wearing protective clothes and gloves, the contractors turn on the torch and run the flame beneath the membrane. Once the sheet begins to melt, the contractors use their feet to press it against the surface. This process is repeated until the whole basement is covered. There are different products that are used for liquid waterproofing which include acrylic, polyurethane, and polymethyl methacrylate (PMMA). Each material composition has its own strengths. Our team will choose the best chemical composition that will suit your basement and give a permanent solution to the water problem. The following are the steps that we use when installing a liquid membrane to a basement. We select the most appropriate material for your basement. 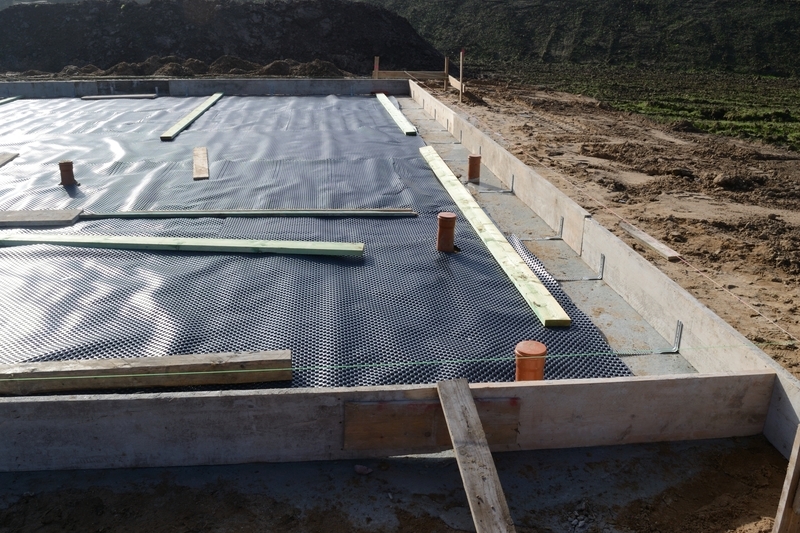 The fluid membrane is more applicable for large basements because it takes less time and the application process is easier than of bituminous membrane. The contractors figure the appropriate ratio for mixing the selected materials. The ratio will be determined by the type of the existing basement and the final outcome. Spray the mixed fluid on the basement floors and walls. The coating is usually flattened by the use of a brush or a roller. Applying more than one coat increases the strength of the membrane. After the whole basement has been waterproofed, the membrane is left to cure. Our team cleans out the area and ensures no waste products left lying in your basement. The cementitious membrane is also another option for basement waterproofing. It is one of the easiest methods because the materials are mixed and applied on the surface. Cementitious membrane gives your basement a tough coat that can resist water infiltration. However, this is not a highly recommended membrane for large surfaces because it is vulnerable to cracking. After the cementitious membrane has applied, an additional layer of another waterproofing material like epoxy. This will help create a long-term solution to water problems. Some of these options can be handled as DIY, but it is highly advisable for you to hire an expert. Hiring an expert may be costly than DIY, but it is more effective. Trained and skilled contractors will give you a seamless membrane that will last for long. Contact us today for more information!